10" Tall. 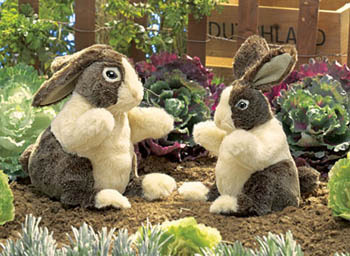 Mother Dutch Rabbit is white with brown patches and features workable front legs and head. The mouth does not move. Baby Dutch Rabbit is sold separately.